Set of 1:10560 Ordnance Survey annotated maps covering Breconshire. Probably used in the field during the course of work carried out by Royal Commission staff for Breconshire Inventory projects. Aeuckens, A. [et al.]. 1983. Lobethal- ‘Valley of Praise’. A Heritage Survey Carried Out for the South Australian Department of Environment and Planning by the South Australian Centre for Settlement Studies. Canberra: South Australian Centre for Settlement Studies. Allen, Denise. 1998. Roman glass in Britain. Princes Risborough: Shire. Anderson, Alastair Scott. 1984. Roman military tombstones. Aylesbury: Shire. Bagshawe, Richard W. 2000. Roman roads. Princes Risborough: Shire. Bateman, Thomas. 1978. Ten years’ diggings in Celtic and Saxon grave hills: in the counties of Derby, Stafford and York, from 1848 to 1858, with notices of some former discoveries hitherto unpublished and remarks on the crania and pottery from the mounds. Buxton: Moorland Publishing Co.
Bedal, Konrad. 1977. Ländliche Standerbauten des 15. bis 17. Jahrhunderts in Holstein und im südlichen Schleswig. Neumünster : Wachholtz. Bidwell, Paul T. 1980. Roman Exeter: fortess and town. Exeter: Exeter Museum Service. Billington, Graham. 2016. The Fairbourne railway: A centenary of steam. Upper Seagry (near Chippenham): Mainline and Maritime Ltd. Bishop,M.C.(editor). 2002. Roman Inveresk: past, present and future. Duns: Armatura Press. Blackie, Christina. 2012. A dictionary of place-names giving their derivations. London: Forgotten Books. Blockley, Kevin [et al.]. 1995. Excavations in the Marlowe car park and surrounding areas. Canterbury: Canterbury Archaeological Trust. Bold, John & Cherry, Martin. 2016. The Politics of Heritage Regeneration in South-East Europe. Strasbourg: Council of Europe Publishing. Booth, Paul & Evans, Jeremy. 2001. Roman Alcester: northern extramural area; 1969-1988 excavations. York: Council for British Archaeology. Bowman, Alan K. 2003. Life and letters on the Roman frontier: Vindolanda and its people. London: British Museum Press. Bradley, Richard. 1990. The passage of arms: an archaeological analysis of prehistoric hoards and votive deposits. Cambridge: Cambridge University Press. Bradley, Richard. 1998. The significance of monuments: on the shaping of human experience in Neolithic and Bronze Age Europe. London: Routledge. Bradley, Richard. 2000. An archaeology of natural places. London: Routledge. Calder, Sandy. 2016. The origins of Primitive Methodism. Martlesham: The Boydell Press. Colman, Sylvia. 1976. East Anglian Archaeology; Report No.3; The Timber Framed Buildings of Ipswich: A Preliminary Report. Suffolk: Suffolk County Planning Department. Colyer, Christina. 1999. The defences of the lower city: excavations at The Park and West Parade 1970-2: and a discussion of other sites excavated up to 1994. York: Council for British Archaeology for the City of Lincoln Archaeological Unit. County of West Suffolk: County Planning Department. 1968. The Buildings of Woolpit. 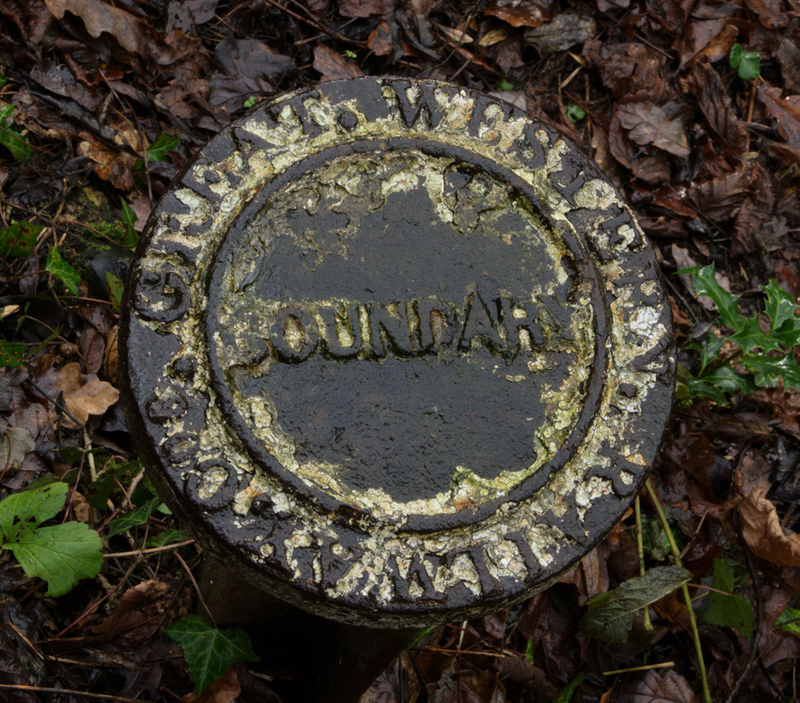 Bury St Edmunds: County of West Suffolk: County Planning Department. Dannell, G.B. & Wild, J.P. 1987. Longthorpe II: the military works-depot: an episode in landscape history. London: Society for the Promotion of Roman Studies. Dobres, Marcia-Anne & Robb, John. 2000. Agency in archaeology. London: Routledge. Down, Alec & Rule, Margaret. 1971. Chichester Excavations 1. Chichester: Phillimore & co ltd.
Down, Alec. 1974. Chichester Excavations 2. Chichester: Phillimore & co ltd.
Down, Alec. 1977. Chichester Excavations 3. Chichester: Phillimore & co ltd.
Down, Alec. 1979. Chichester Excavations 4: The Roman Villas at Chilgrove and Upmarden. Chichester: Phillimore & co ltd.
Down, Alec. 1981. Chichester Excavations 5. Chichester: Phillimore & co ltd.
Down, Alec. 1989. Chichester Excavations 6. Chichester: Phillimore & co ltd.
Down, Alec. 1990. Chichester Excavations 7. Chichester: Chichester District Council. Down, Alec. 1993. Chichester Excavations 8. Chichester: Chichester District Council. Fasham, Peter J. 1989. The archaeological site at Easton Lane, Winchester. Winchester: Hampshire Field Club. Ferris, Tom. 2016. Lost lines of Wales: Cambrian Coast line. Llanelli: Graffeg. Ferris, Tom. 2016. Lost lines of Wales: Brecon to Newport. Llanelli: Graffeg. Ferris, Tom. 2016. Lost lines of Wales: Ruabon to Barmouth. Llanelli: Graffeg. Frere, Sheppard and Stow, Sally. 1983. Excavations in the St. George’s Street and Burgate Street areas. Maidstone: Published for the Canterbury Archaeological Trust by the Kent Archaeological Society. Frere, Sheppard [et al.]. 1987. Canterbury excavations: intra- and extra-mural sites, 1949-55 and 1980-1984. Maidstone: Published for the Canterbury Archaeological Trust by the Kent Archaeological Society. Gelling, Margaret. 2000. Place-names in the landscape. London: Phoenix. Gelling, M. and Cole, A. 2014. The landscape of place-names. Donington, Lincolnshire: Sean Tyas. Gelling, M., Nicolaisen, W. F. H. & Richards, M. 1986. The names of towns and cities in Britain. London: B. T. Batsford. German, Glyn E. 2015. Welsh history: a chronological outline. Talybont, Ceredigion: Y Llofa. Goose, Nigel[editor]. 2016. The British almshouse: new perspectives on philanthropy ca 1400-1914. Milton Kevnes: FACHRS Publications. Gosden, Chris. 1999. Anthropology and archaeology: a changing perspective. London: Routledge. Hanley, Robin. 1987. Villages in Roman Britain. Aylesbury: Shire. Harding, D.W. 1987. Excavations in Oxfordshire 1964-66. Edinburgh: University of Edinburgh Archaeology Department. Harris, Richard. 1980. Timber framed buildings: A catalogue written by Richard Harris to accompany the touring exhibition. London: Arts Council of Great Britain. Hodder, Ian. 1991. Reading the past: current approaches to interpretation in archaeology. Cambridge: Cambridge University Press. Hodder, Ian, [et al.]. 1994. Interpreting archaeology: finding meaning in the past. London: Routledge. Hodges, Richard & Smith, Ken. 1991. Recent developments in the archaeology of the Peak District. Sheffield: J.R. Collis Publications, Dept. of Archaeology & Prehistory, University of Sheffield. John, Deric. 1998. Cynon Valley place-names. Llanwrst: Gwsag Carreg Gwalch. Johnston, David E. 2010. Roman villas. Princes Risborough: Shire Publications. Jones, Bedwyr Lewis. 1992. Yn ei elfen. 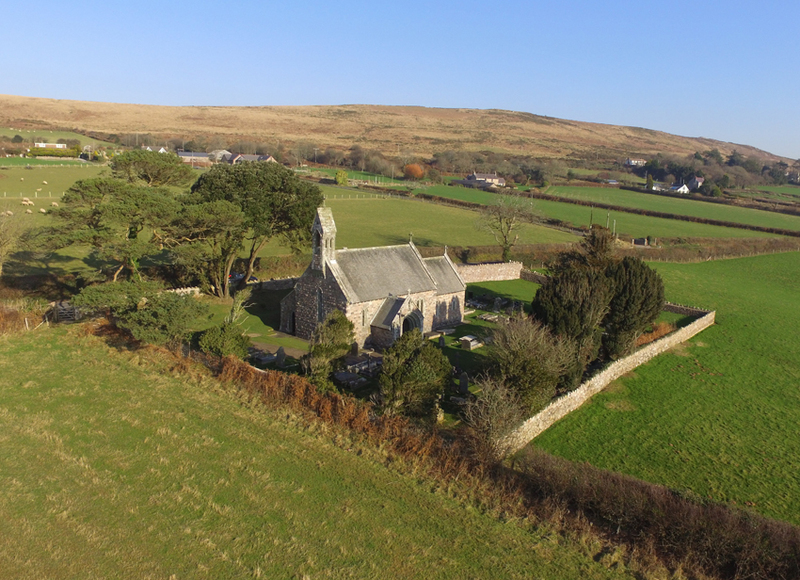 Capel Garmon: Gwasg Carreg Gwalch. Jones, Bedwyr Lewis. 2008. Place-name detective. Llanrwst: Gwasg Carreg Gwalch. Jones, G. D. B. 1974. Roman Manchester. Altincham: Sherratt for Manchester Excavation Committee. Fred Kaspar & Robert Arató. 1989. Ein gar stattlich Haus : Leben [und Wandel] in einem niederdeutschen Bürgerhaus der [Weser]-Renaissance; dargestellt am Beispiel des Hauses Backs in Bad Salzuflen. Rheda-Wiedenbrück Güth. Keith, Matthew E. 2016. Site formation processes of submerged shipwrecks. Gainesville [USA]: University Press of Florida. Kingsley, Sean A. 2016. Fishing and shipwreck heritage: marine archaeology’s greatest threat? London: Bloomsbury Academic, an imprint of Bloomsbury Publishing Plc. Laing, Lloyd. 1987. Later Celtic art in Britain and Ireland. Princes Risborough: Shire. Lakin, D. c.2002. The Roman tower at Shadwell, London: a reappraisal. London: Museum of London Archaeology Service. Lias, Anthony. 1991. Place names of the Welsh borderlands. Ludlow: Palmers. Luce, T.J. 1997. The Greek historians. London: Routledge. Mackinder, Anthony. 2000. A Romano-British cemetery on Watling Street: excavations at 165 Great Dover Street, Southwark, London. London: Museum of London Archaeology Service. McWhirr, Alan. 1986. Houses in Roman Cirencester. Cirencester: Cirencester Excavation Committee. Meates, G.W. 1979. The Roman Villa at Lullingstone Kent Vol 1: The site. Kent: Archaeological Society. Millett, Martin. 1986. Excavations on the Romano-British small town at Neatham Hampshire, 1969-1979. [Winchester]: Hampshire Field Club in co-operation with the Farnham and District Museum Society. Millett, M., Revell, L. & Moore, A. (eds.). 2016. The Oxford handbook of Roman Britain. Oxford: Oxford University Press. Owen, Hywel Wyn. 1994. The place-names of east Flintshire. Cardiff: University of Wales Press. Owen, Hywel Wyn. 2015. The place-names of Wales. Cardiff: University of Wales Press. Palmer, Marilyn & West, Ian. 2016. Technology in the country house. Swindon: Historic England. Penoyre, John & Penoyre, Jane. 1994. Decorative Plasterwork in the Houses of Somerset. 1500-1700. Somerset: Somerset County Council. Perring, Dominic. 2002. The Roman house in Britain. London: Routledge. Philip, Brian. 1981. The Excavation of the Roman forts of the classis Britannica at Dover 1970-1979, the extensive archaeological programme of rescue-excavation ahead of major roadworks and town-centre redevelopment in Dover, which resulted in the discovery , excavation and ultimate preservation of two naval forts of the Roman fleet in British waters. Dover: Kent Archaeological Rescue Unit. Philip, Brian. 1984. Excavations in the Darent Valley, Kent: the detailed reports on the discovery and excavation of a complete Iron Age Farmstead site at Farningham Hill; the excavation of important Prehistoric, Roman and Saxon sites at Darenth and the excavation of the south-east area of the archbishops of Canterbury’s medieval manor-house and Tudor palace at Otford. Dover: Kent Archaeological Rescue Unit. Philip, Brian. 1996. The Roman villa site at Orpington, Kent. Dover: Kent Archaeological Rescue Unit. Pollard, Joshua. 2002. Neolithic Britain. Princes Risborough: Shire. Prizeman, Oriel. (ed.). 2015. Sustainable building conservation: theory and practice of responsive design in the heritage environment. London: RIBA Publishing. Ray, Keith & Bapty, Ian. 2016. Offa’s dyke: landscape and hegemony in eighth century Britain. Oxford: Oxbow Books. Rotherham, I.D. (ed.) 2013. Trees, forested landscapes, and grazing animals: a European perspective on woodlands and grazed treescapes. London: Routledge. Rowlands, John & Sheila. 2013. The surnames of Wales. Llandysul: Gomer with the National Library of Wales. Ryley, Claire. [1987?]. Roman gardens and their plants. Lewes: Sussex Archaeological Society. Scobie, Graham. 1991. The Brooks, Winchester: a preliminary report on the excavations, 1987-88. Winchester: Winchester Museums Service. Shanks, Michael & Tilley, Christopher. 1987. Social theory and archaeology. Cambridge: Polity in association with Blackwell. Spittal, Jeffrey & Field, John. 1990. A Reader’s guide to the place-names of the United Kingdom: a bibliography of publications (1920-89) on the place-names of Great Britain and Northern Ireland, The Isle of Man, and The Channel Islands. Stamford: Paul Watkins. Swan, Vivien G. 1988. Pottery in Roman Britain. Princes Risborough: Shire. Swift, Ellen. 2003. Roman dress accessories. Princes Risborough: Shire. Tavinor, Michael. 2016. Shrines of the saints in England and Wales. Norwich: Canterbury Press. Thomas, Julian. 1996. Time, culture and identity: an interpretive archaeology. London: Routledge. Thomas, Julian. 1999. Understanding the Neolithic. London: Routledge. Tilley, Christopher. 1993. Interpretative archaeology. Oxford: Berg. Todd, Malcolm (ed.). 1989. Research on Roman Britain, 1960-89. London: Society for the Promotion of Roman Studies. Trigger, Bruce. G. 1989. A history of archaeological thought. Cambridge: Cambridge University Press. Valen-Sendstad, Fartein. 1968. The Sandvig Collections: Guide to the Open Air Museum. Gjøvik: Mariendals Boktrykkeri. Wainwright, G.J. 1995. Balksbury Camp, Hampshire: excavations 1973 and 1981. London: English Heritage. West Suffolk County Planning Department. 1967. The Buildings of Walsham-le-Willows. Bury St Edmunds: County Planning Department. Current Archaeology no. 324, p. 32: ‘Heathery livrocky land: Rethinking the stones of Neolithic Pembrokeshire’ by Christopher Catling (RCAHMW); p. 64: ‘Sherds’, regular column by Christopher Catling, this months on campanology (once – 1668 – known as ‘tintinnalogia’); the end of the Whitechapel Bell Foundry; apotropaic marks in barns, granaries, and stables; when do the seasons begin; and the history and meanings of surnames.